Shown both “On-One” and “On-Two”!! 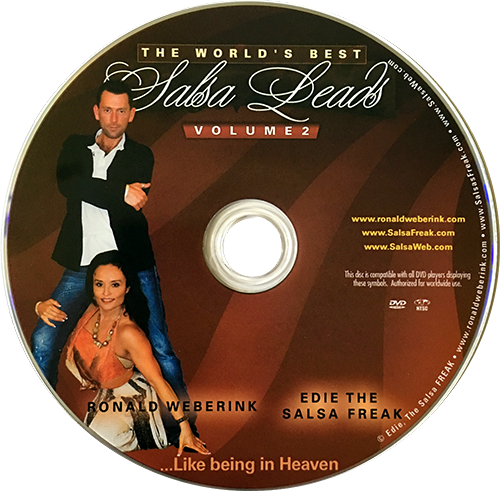 In this DVD, the viewer gets twenty different Salsa combinations of simple, yet beautifully orchestrated moves. Each combination is shown in both directions, and then demonstrated in detail both on the “One” and the “Two” counts of the music. Edie focuses on teaching the leaders the How and Why of Ronald’s incredible lead. Ronald leads moves in a certain way that make them look and feel smoother using techniques not normally – if ever – taught ANYWHERE. Many experienced dancers simply ignore basic techniques that trained leaders take for granted and don’t even realize they execute. 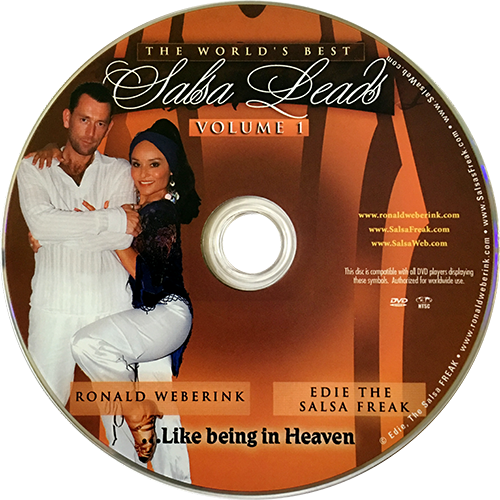 In this DVD, Ronald carries out each move with precision and grace, never allowing the follower to “guess” or “question” what he wants and or how he wants to execute it. The best leaders in the world should lock this up in their DVD collection. For the ladies, Edie always adds in her own unique flavor and styling to each turn pattern as well. This DVD is perfect for the Intermediate to highly advanced dancer. A great gift for that special “someone” who thinks they already know it all!